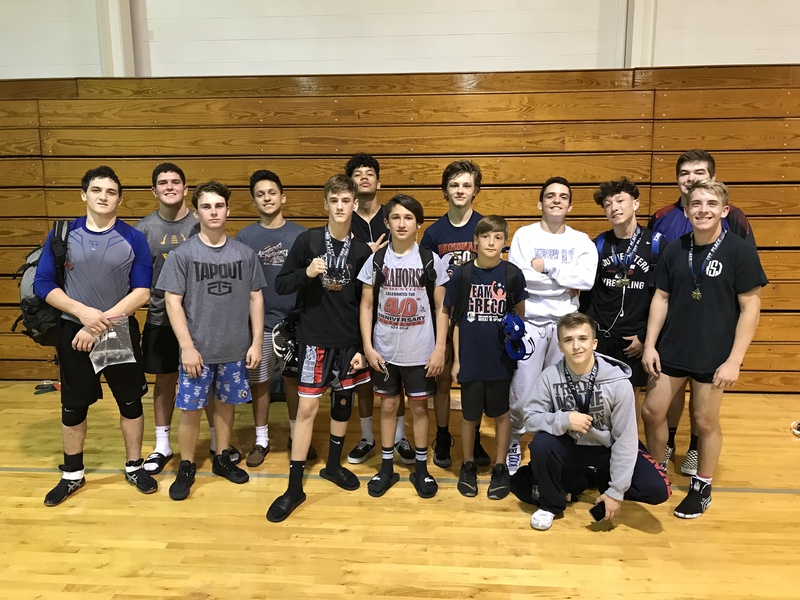 The Wellington wrestling club attended the Mustang open at Merritt Island H.S. this past Saturday and had an outstanding day with a number of wrestlers earning top 3 honors. 3rd place: Luke Schumatti & Ryan King. Pictured (left to right): Tenzin Tognini, Aiden Alexander, Seth Rhodes, Jared Portu, Ryan King, Juan Quintero, Sam Marvel, Luke Schumatti, Tyler Gray, Luke Forehand, Sean Mauermann, James Marvel, Preston Morrow, & Nico Strada.